Last week, we started this series of articles by exploring published best practices with a focus on creating content. This week we continue learning about best practices for flipped teaching and learning by examining practices specific to student engagement with content. Communicate with students up front to help ensure that they are prepared to explore content and know what to expect – this is going to be a different experience for them. In this article, Jon Sowash discusses how he made a video to introduce the idea of the flipped classroom to his students (he got pretty fancy here – don’t feel you need to try and do anything this advanced!) (Sowash). Of course, this video goes beyond just content and engagement, but still it makes a key point – prepare your students and set them up for success with this new approach to learning. It should also be noted, as Julie Schell advises, that teachers should be careful about “labeling” what they are doing – some students may choose to use this as an excuse (“the teacher did this ‘flipped’ thing and it was different and hard!”) (Schell). So do let your students know how your class is going to work, and what your expectations are regarding how they will consume and interact with the flipped learning content, but you might want to avoid specifically referring to this new technique as the flipped classroom (at least early on). Raise curiosity and prepare students by introducing the topic in class before they are assigned the content. I love to ask questions about the topic, to get students thinking about it. Putting some of the misconceptions about a topic out there can set the stage to surprise and further interest them when they are reading, listening, and/or watching content that dispels those misconceptions. You can also choose to explore a topic more in depth, allowing for open-ended exploration, or taking other approaches. The important thing is to be sure to start the cycle of learning with some form of introduction to new topics. You absolutely want to build constructs into your flipped content assignments to provide some assessment of understanding, and require engagement. It is too easy for students to absentmindedly ‘watch’ a video without really engaging with it. 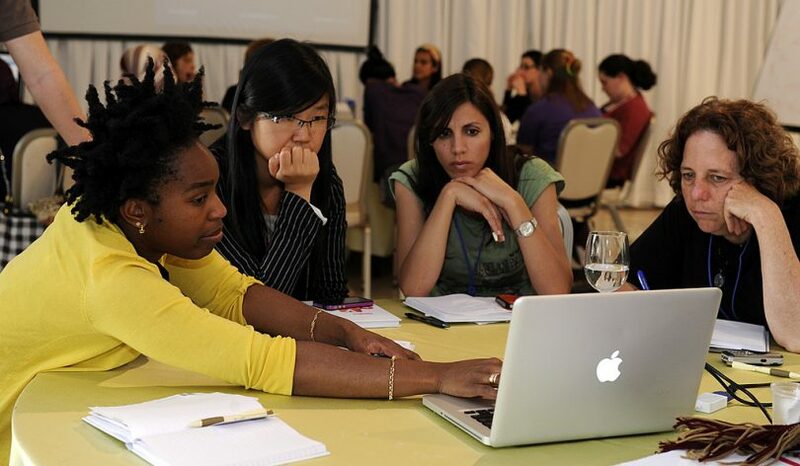 There are many techniques that can require interaction and also provide feedback for assessment. For example, I’ve used Crystal Kirch’s popular “WSQ” technique and found that the questions students ask can often shed light on their understanding (Walsh). Discussion forums can provide another good opportunity for formative assessment. You can also go the summative route and build questions or quizzes right into video assignments with tools like EduCanon or ed.ted.com (these links connect to “3 Minute Teaching With Tech Tutorial” videos for each of these tools). “Start slow! Pick a single upcoming lesson or unit that you already plan to teach. Recruit a few of your savviest students to do the research to find existing online video material to support the lesson. They should include a text overview defining what the students should be looking for in the video. Also work with the student team to develop an in‐class activity that students will do after viewing the video. Post the video lesson to your content manager. Then run the video as a pilot lesson for the whole class. Part of their assignment is to decide what they like (and don’t like) about the each component of the lesson. In other words, they assist in the design of rubrics for selection of videos and integration of the video lessons into…classroom activities. Then repeat step 1‐3 until you get a good basis for selection of future videos. In our next installment, we’ll examine recommended practices for using class time in the flipped classroom. ITaP. “Best Practices for the Flipped Classroom” 18 December 2013. Purdue University Information Technology. <http://www.itap.purdue.edu/learning/cdm/supporting/FlippedModel/Flipped%20Classroom%20Best%20Practices.pdf>. Pappas, Peter. 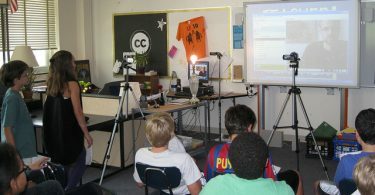 “How to Flip Your Classroom – and Get Your Students to Do the Work.” 13 July 2011. Copy/Paste. <http://www.peterpappas.com/2011/07/how-to-flip-flippingyour-classroom-get-your-students-do-work.html>. Provini, Celine. “Best Practices for Flipped Classrooms.” 2014. Education World. <http://www.educationworld.com/a_curr/best-practices-flipped-classroom.shtml>. Schell, Julie. “The 2 most powerful flipped classroom tips I have learned so far.” 23 April 2013. Turn to Your Neighbor – The Official Peer Instruction Blog. 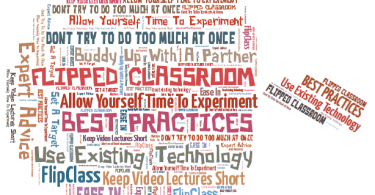 <http://blog.peerinstruction.net/2013/04/16/the-2-most-powerful-flipped-classroom-tips-i-have-learned-so-far/>. Sowash, Jon. “Flip your classroom through reverse instruction.” 6 September 2010. The Electric Educator. <http://electriceducator.blogspot.com/2010/09/flip-your-classroom-through-reverse.html>. Walsh, Kelly. “Getting Students to Watch and Engage With Flipped Videos with Crystal Kirch’s WSQ Technique.” 4 July 2014. FlippedClassroomWorkshop. <http://www.flippedclassroomworkshop.com/get-students-to-watch-flipped-videos-wsq-technique/>.